One of the major highlights for Sohar Port in 2017 was the establishment of a 40-hectare food cluster at the port which will include a major flour mill, a world-class sugar refinery, and a grain silo complex. 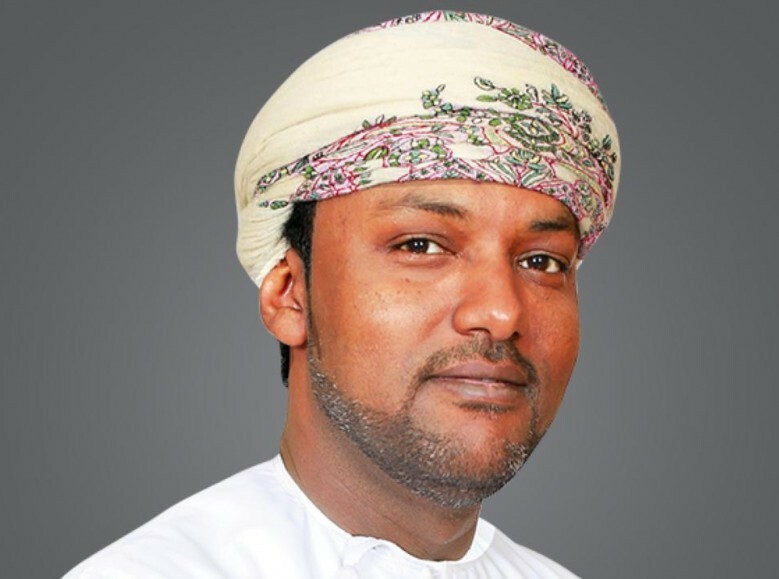 The former, operated by Sohar Flour Mills will have a capacity of 500 tonnes per day, while the planned sugar refinery, owned and operated by the Oman Sugar Refinery Company, will boast a production capacity of one-million tonnes per annum. Sohar Port now operates a terminal at the port dedicated exclusively for the food cluster. Also, despite volatility in the global maritime sector, Sohar Port once again posted a year of consistent growth with an average of over one million tonnes of cargo handled by the port every week in 2017. Container traffic was up by 36 per cent compared to 2016, dry bulk throughput increased by 25 per cent year-on-year. Sohar received 3,075 vessel calls in 2017, marking a significant increase of 17 per cent, despite the continued global trend towards consolidation and larger ships. 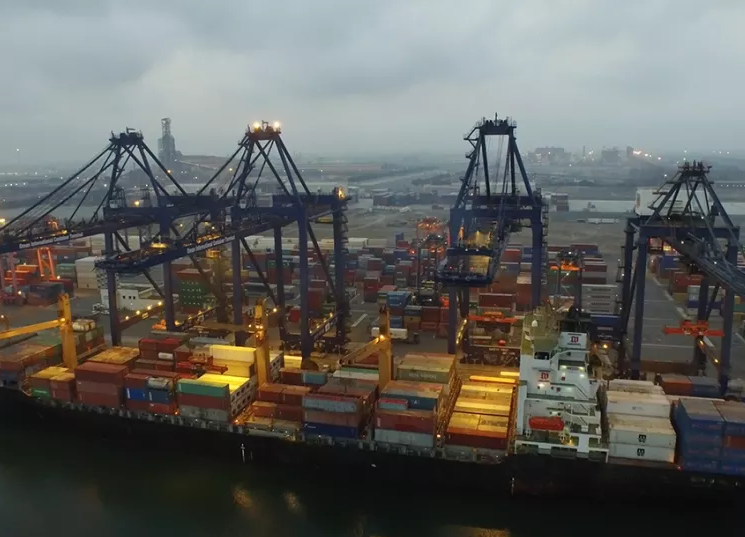 Launched in 2017 and now nearing completion, the Sohar Port South expansion will add new deep-water berths and a further 200 hectares of land to Sohar’s present capacity of around 2,000 hectares. Given its proximity to the bustling petrochemicals cluster, the expansion will be earmarked almost exclusively for oil and gas-based investment. Sohar Freezone also witnessed a number of milestones in 2017, the most significant of which was the signing with India’s Pittie Group, one of the biggest cotton yarn manufacturers in the world, for a $300mn cotton yarn project. The project, when completed, will produce 100,000 tonnes of cotton yarn per year and generate over 1,500 sustainable jobs in the free zone. “Another major project was for the production of antimony, a mineral which is primarily used as a fire-retardant. 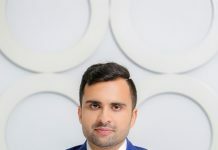 In total, around 26 companies are already reaping the benefits of unrivalled access to land, low-cost energy, and skilled workforce in the region,” said Jamal Aziz, CEO, Sohar Freezone. Another new addition to Sohar Port in 2018 is Oman’s first bitumen refinery, a new plant that will significantly reduce the reliance imports of bitumen and asphalt for road paving and industrial applications. Taking advantage of the growing local and global market for asphalt and bitumen, the project will create new business opportunities and employment in Oman with 34 direct jobs for citizens generated in the first phase of operations. According to market projections, the capacity of phase 1 will be around 1.6 million tonnes per annum, with 35 per cent allocated to the Omani market, 35 per cent exported to GCC countries and 30 per cent destined for the international market. The plant is backed by Sohar Asphalt, an Oman-registered company who are investing $386mn in the new venture. 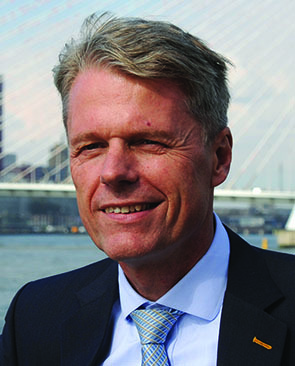 Mark Geilenkirchen said that growth from within the free zone also plays a significant role in the growth of port operations. As the number of resident businesses increase, so to do cargo volumes. “Additionally, we are promoting the consolidation of shipping cargo for smaller players in the Freezone, many of whom currently transport their cargo overland to other port destinations in the region. 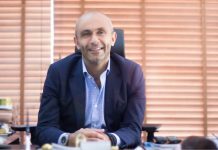 Providing more practical options for clients to consolidate their cargo reduces unnecessary handling and delays, and helps to increase cargo volumes,” he said. Looking ahead at 2018, Sohar is promoting the theme of ‘Smarter Thinking,’ streamlining operations and improving efficiencies. “We work closely with our colleagues at the Port of Rotterdam in the areas of new logistics strategies and adopting the latest technologies. At Sohar, we pride ourselves in promoting a ‘Smarter Thinking’ culture, one that ensures that innovative ideas are freely shared and championed,” says Geilenkirchen.